This roasted beet salad gets a pop from tangy feta and balsamic dressing. 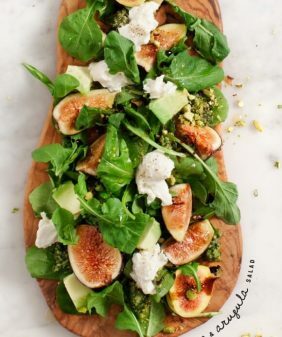 We love it as a fall starter or packed up for a weekday lunch! Let’s talk about beets, shall we? A hearty root vegetable, they’re available pretty much all year round, but they’re best June through October. 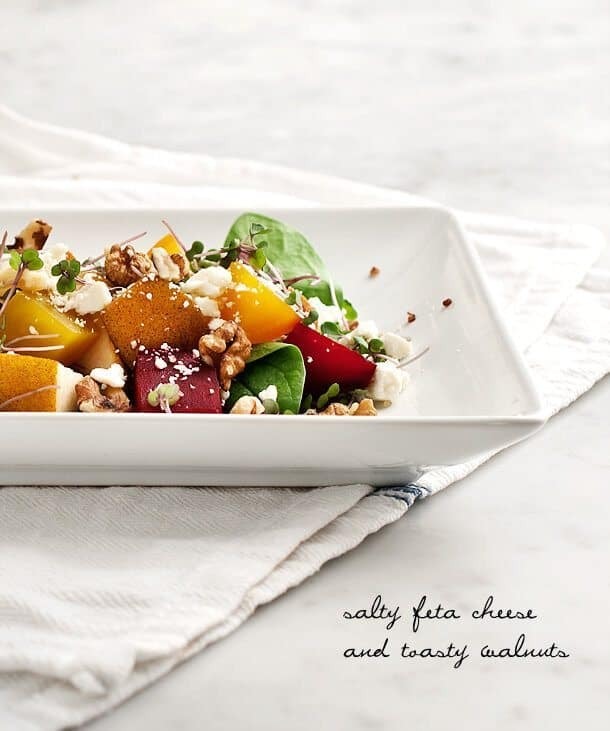 I picked up some gorgeous ones at our farmers market last week and decided they would go perfectly with some ripening pears that were sitting on my countertop in this roasted beet salad recipe. 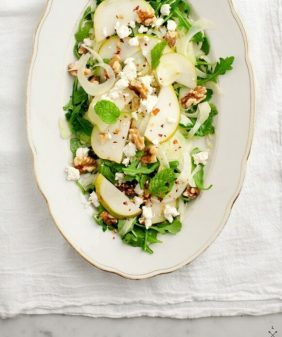 To balance all of the sweetness, I added some tangy feta and toasty walnuts. 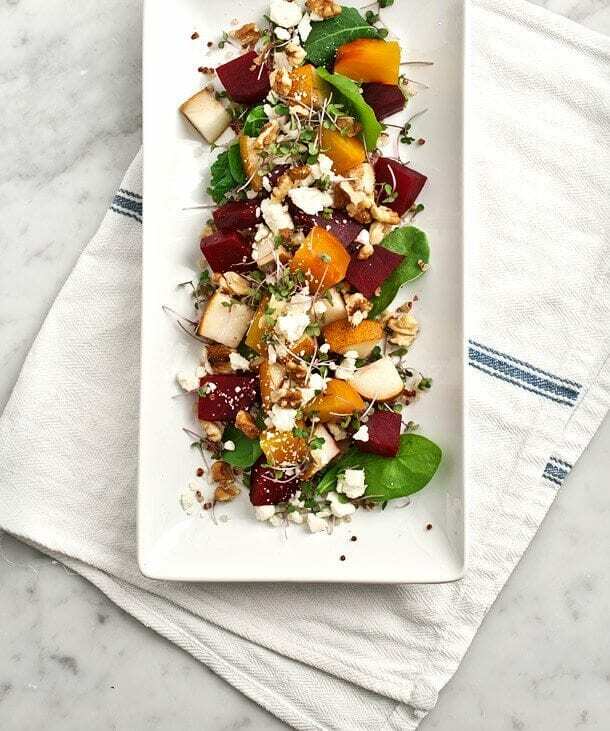 This roasted beet salad would be great as a starter for a fall dinner party. 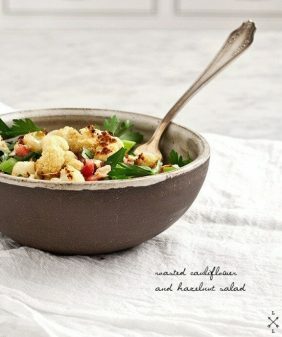 I also make salads like this to have on hand for my weekday lunches. This one will keep for a couple of days in the fridge, and it’s one of those salads that actually tastes a little bit better the second day. (although note that it won’t be prettier the second day). For more beet recipes, check out this creamy polenta with roasted and raw beets or these simple roasted beets with citrus! This roasted beet salad is a great fall dinner side or appetizer, and it packs up well for weekday lunches! Add quinoa to make this beet salad a meal on its own. Preheat oven to 350 degrees fahrenheit. Roast the beets by drizzling them with a bit of olive oil, some salt and pepper, and wrapping them in foil. Depending on the size and freshness of your beets, they should take from 40 minutes to 1 hour to roast in the oven. Check occasionally, when they are fork-tender they are done. Set them aside to cool… as soon as they’re cool enough to touch, run them under the faucet and slide off the skins with your hands. Chop into roughly ½ inch cubes and set them aside to cool completely. (To save time, I suggest doing this up to one day ahead of time and popping them in the fridge until you’re ready to assemble the salad). (optional step) Take the already-cooked quinoa and toast it a little, by tossing it in a small hot skillet for a couple of minutes. Drizzle a little walnut oil and some salt on it, and remove from the heat and set aside. If you’re not familiar with how to cook quinoa, I like this method. Assemble all salad ingredients on a platter. Drizzle with a liberal amount of walnut oil, a bit of balsamic vinegar, a little honey, and some salt and pepper. 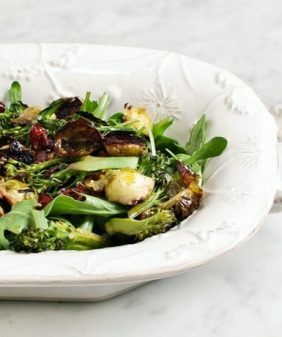 (or for a cleaner look, toss the balsamic only with the red beets, before assembling the salad). We have a crisper drawer full of beets from our CSA and this looks like a perfect way to use them Just beautiful. Looking forward to your collaboration! 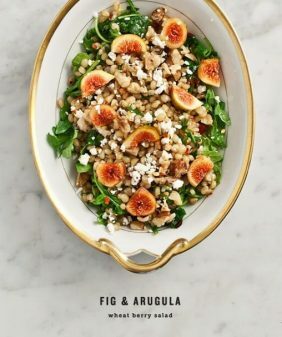 I had a very similar salad as this when I hosted my bridesmaid luncheon! 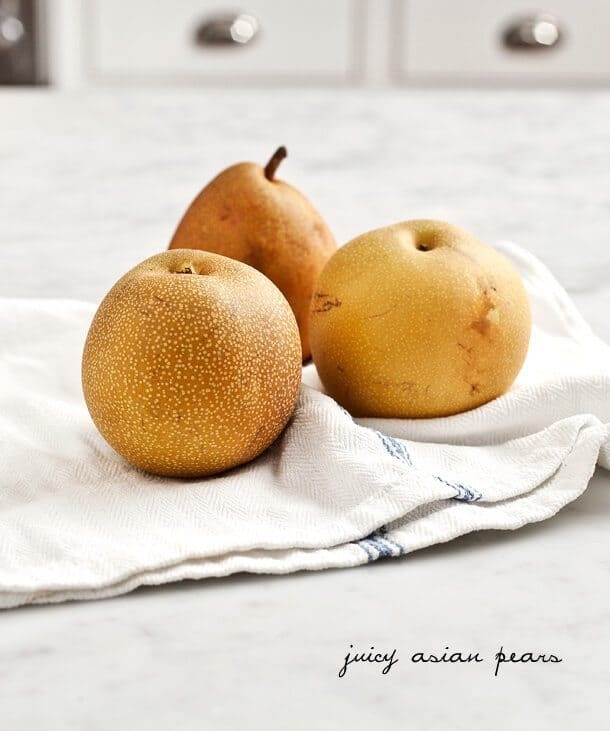 We didn’t have pear… It was soooo good! so pretty. I LOVE your style, Jeanine. This looks amazing. Congrats on the new collaboration, cannot wait to see all of your creations. That is one of my very favorite blogs (other than yours) so I love this collab! I find myself attempting at least 80% of what you post and I now grab my grocery list before even opening to your site. 😉 Keep on at it, I’m eating well! I saw this on tastespotting– the photo is beautiful! 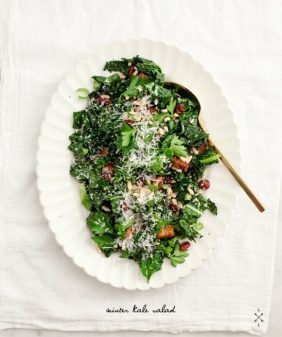 The flavors sound amazing– a perfect winter/holiday salad. Just tried this sald. My feta was gone so I substituted herbed goat cheese crumbled in the salad. It was yummy! Hi Betsy, I’m so glad you enjoyed it! Is the walnut oil necessary or can you substitute with olive oil? you can use olive oil!